Alain Gomis is a Franco-Bissau Guinean-Senegalese director. He was born in 1972 in France, where he grew up. His first two short films, Tourbillons followed by Petite lumière, were selected and received awards at several international festivals. In 2001, his first feature-length film, L’Afrance, won the Silver Leopard at the Locarno Film Festival. 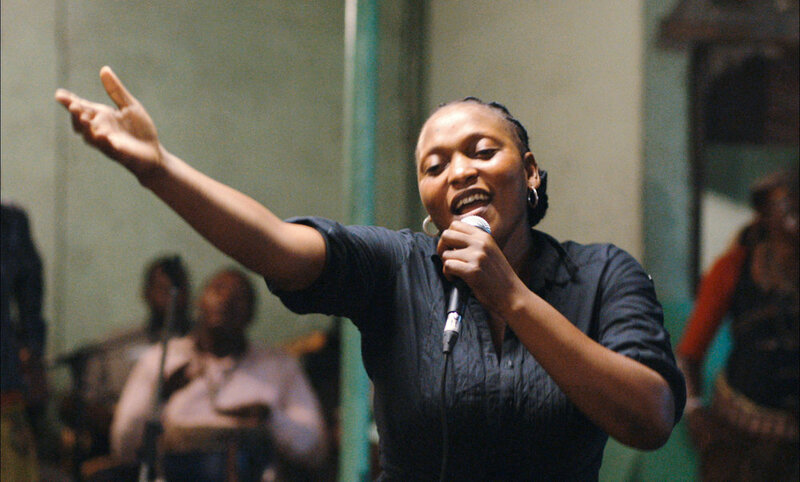 Then came Andalucia in 2007 starring Samir Guesmi, then Tey starring Saul Williams, which was selected for competition at Berlin and won the Golden Stallion at Fespaco in 2013. A partner at Granit Films along with Newton Aduaka (Nigerian director, Ezra) and Valérie Osouf (French director), Alain Gomis also works with producer Oumar Sall (Cinékap) on a training program for young filmmakers and technicians in Senegal (Up Court-métrages). Félicité is his 4th feature-length film.